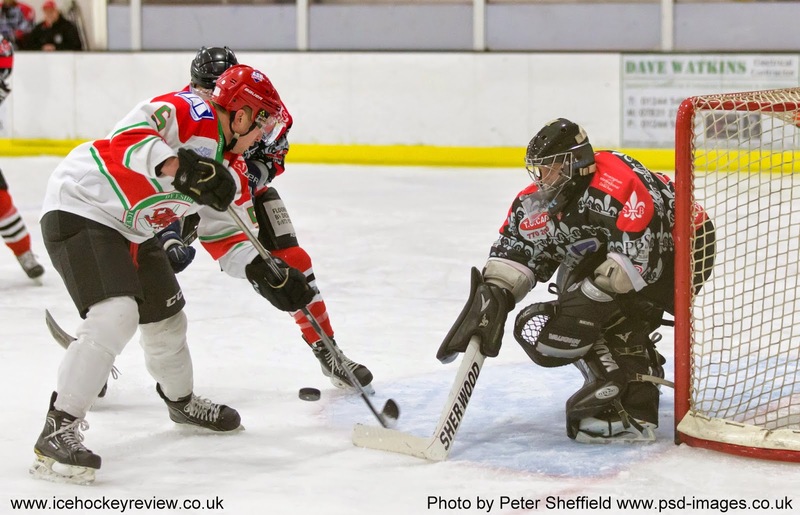 Widnes Wild strengthened their hold on 4th place with a four point weekend from a 2-1 win over local rivals Deeside Dragons on Saturday night and a 9-2 victory over Blackburn Eagles on Sunday. Sheffield Senators hammered bottom team Bradford Bulldogs 21-0 and look certain to finish in 3rd place - and an automatic promotion spot - as they have a 12 point cushion over Widnes, who only have 5 games left to play. Hull Jets, Deeside Dragons and Nottingham Lions all have games in hand over Wild and could mathematically still catch them, although a superb run of form would be needed in each case. From that chasing pack, Nottingham had the best results of the weekend win 3 points from a 1-6 win away at Coventry and a 2-2 draw at home to 2nd place Telford Tigers. Deeside Dragons lost both of their weekend matches - away at Widnes 2-1 and at home to league leaders Solihull Barons 5-6 while Hull Jets lost 6-3 away at Blackburn in what was the Eagles' first win since November.